1.2 Can I take pennyroyal in pregnancy? Can I take pennyroyal in pregnancy? This plant is strictly prohibited during pregnancy. Can I take pennyroyal while breastfeeding? Women who are breast feeding her baby with breast milk should NOT take pennyroyal. Why pennyroyal should not be taken during pregnancy? Both the essential oil, as well as, other preparations from fresh or dried herb should not be given in any case for pregnant women, because this plant is considered one of the main abortive plants. Pulegone and especially thujone makes the essential oil of this plant a very powerful poison. Furthermore, thujone has emenagogue properties, so it stimulates the uterine muscles. This property, which has been used medicinally for the treatment of difficult menstruations, is one that can easily induce abortion. Why pennyroyal should not be taken while breastfeeding? Use with infants is not recommended, since women can provide these principles to their baby through milk. 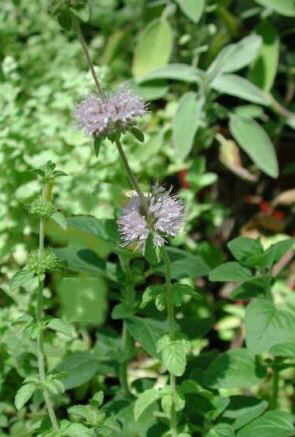 Pennyroyal contains toxic principles that should never be ingested by a child.